In an exploration of the mythology of the strong black woman, Austin’s Ground Floor Theatre is presenting the world premiere of Black Do Crack running February 14 through March 2, telling the all-too-common story of the mother who is not allowed to crack, but is dying under the pressure of that fiction. Playing with language, song and movement, Black Do Crack is an exploration of the curse and the blessing of being a strong woman and what happens when the bough breaks. Written and performed by Austinite Florinda Bryant, Black Do Crack is an invitation to be honest with the struggles of women and aims to shine a spotlight on the struggles of the everyday woman. Named Best Power Forward in the Arts by the Austin Chronicle 2018, Bryant is a poet singer, actor, dancer, and no stranger to the stage in Austin. 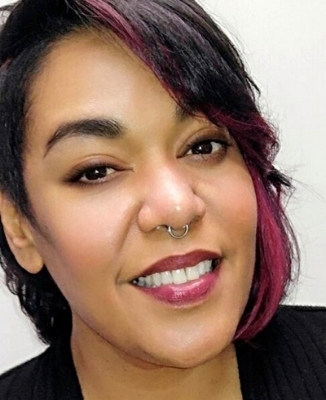 Her award-winning one-woman show Half-Breed Southern Fried was produced as part of the Performing Blackness Series at UT and was directed by Laurie Carlos. Matrex Kilgore directs, with lighting design by Amberly Whatley, sound design by Priestess Qi, dramaturgy by Sharon Bridgforth and Angelica Chesney as Stage Manager. Together, this team collaborates with Bryant to ask audiences the tough questions — How do we check on each other? How do we make space for our daughters to use their wail to help them transform? Performances run February 14 – March 2, 2019 at Ground Floor Theatre, 979 Springdale Road, Austin, TX at the corner of Springdale and Airport. Performances are Thursday through Saturday nights at 8:00 p.m. and Sundays at 5:00 p.m. The “First Friday” performance on February 15 includes a champagne reception. Suggested ticket price is $20; Ground Floor Theatre believes in “theatre for everyone” regardless of ability to pay, so tickets are always “Pay What You Can”. Tickets can be purchased at groundfloortheatre.org.